I take a deep breath and look at her sternly but lovingly. “You need to keep your feet up right now. You’ve just had hip surgery. I’ve driven six hours here to wait on you. Sit down and enjoy it!” I leave the room with a smirk. Of course, five minutes later I’m cursing under my breath. Where the hell does she store her pans? Her apartment is small, her kitchen as tiny as an elf’s, and it has already taken me 4 minutes, 38 seconds to find a knife to cut the cheese. I open more cabinets and grit my teeth. 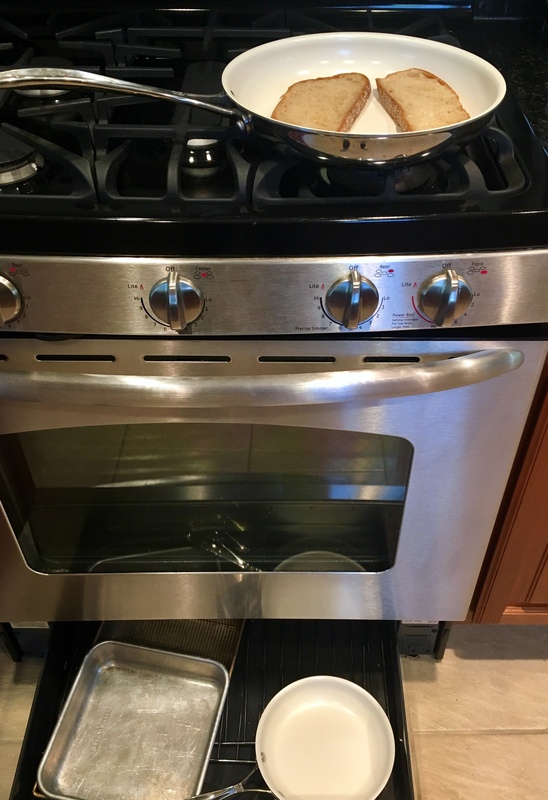 I open the drawer below the oven and sweetly shout, “Got it!” Why she couldn’t have told me that in the first place, I don’t know. I whistle happily as I slice and melt the butter in the pan. “Not at all!” I answer. I pick up her glass and announce. “You need more water. Ten glasses a day – at least!” I bounce back to the kitchen and notice that the butter is turning brown. Whoops. As I add more ice to her glass, I throw some slices of bread in the pan. Race the ice water back to mom and her tray, then race back to the kitchen. Now the bread is turning brown, and I haven’t added the cheese yet. “Damn,” I shout out. As she arranges a dish on her walker tray and sashays back toward the couch, I admit defeat, but also realize a cheery thought. She’s healing quite well, much faster than the doctor’s prediction. Happy Mother’s Day to those who nurture, and those who allow themselves to be nurtured by the woman who loves them best. Wonderful … I can picture every moment – even smell them too! Yes toasties exist, Pam – I do mine though under a grill, either simply as ‘cheese-on toast’ or doubled up, with ham added when ‘toasting’ the top slice of the ‘sandwich’ Got to go, I’m feeling hungry! You, too, Pam. I love your mother’s style! Your post made me smile. I think we can all relate to the nurturing and the nurtured. Happy Mother’s Day. Much better to have a Mom who doesn’t want to be waited on than one who does, right? Happy Mother’s Day Pam. I enjoyed your tale and your pictures. I hope she is doing well. That’s a wonderful story. Having recently helped my parents in the kitchen for a succession of meals, I can totally relate! Happy Mother’s Day weekend! I’m smiling here. Some things are meant to be done by certain people– and one must learn to allow those people to do them. Great story that made me hungry. Well, it’s the thought that counts, right? 😄 Happy Mother’s Day to you both! Oh, what a happy post this is! Thanks for sharing it, and Happy Mother’s Day to you, too! Mothers and Daughters are a happy combination- most times. 😊 Happy Mother’s Day, Cindy. Wonderful story! Think of all the grilled cheese sandwiches we have shared with Mom! Happy Mother’s Day! Grilled cheese brings back so many memories for so many people. It’s just one of those comfort meals that can’t go wrong-unless you forget to turn that bread over in time! And yes, up in the Northeast grilled cheese and tomato soup with pickles on the side also is a great combination. Happy Mother’s Day, Courtney! I never met your mother but your stories make her seem bigger than life!!! Don’t you wish we could just twinkle our nose and go back to specific times with them My mom has been gone 18 years. She was and always will be the best mom!! Happy Mothrts Day Pam!!! Having recently helped my Mom through hip surgery I could picture every moment. I also have a strange craving for grilled cheese. Sending you hugs and warm wishes this weekend Pam. What a sweet post, it brought back memories of my mom. 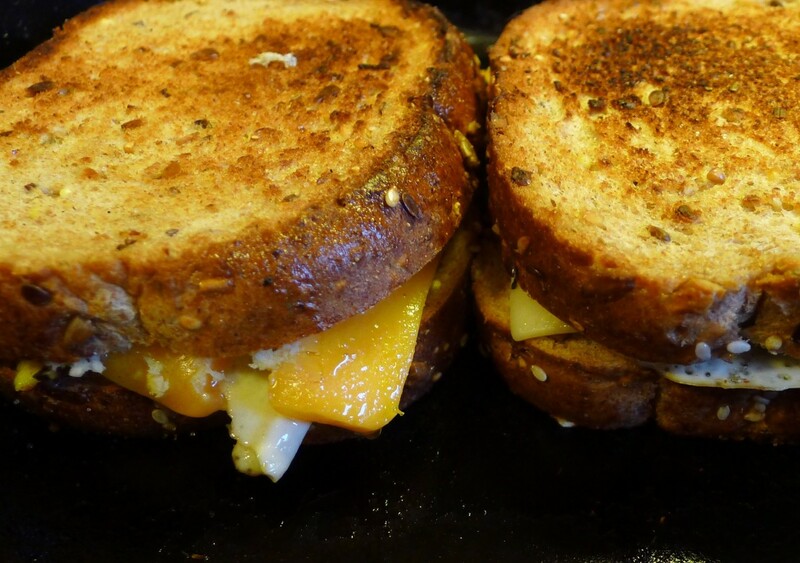 There is nothing better than a grilled cheese sandwich. I like mine with ham and dipped in ketchup. There was no ketchup in Germany when I was a kid, but I learned to love it when I came to the States. Glad she’s rebounding so fast! That’s the healing power of CHEESE! (And daughters). You are so lucky. Wish I still had my mom. I’d give anything to have instruct me on how to do something I already know how to do! 🙂 I didn’t appreciate it enough when she was here. Happy Mom’s Day to your sweet mother. I have a bunch of those stories too. Maybe next Mother’s Day I’ll do a collection of short ones. Thanks for the inspiration and Happy Mother’s Day to you! I love that black and white picture Pam! Even could smell that sandwich…Happy Mother’s Day! You have a beautiful mom. It’s a blessing to have her around. Hehe. That’s funny. When I know my mom is watching over my shoulder, it seems I always make some mistake from the pressure. Well, that was interesting! I came through as Anonymous. Once a mother, always a mother. We don’t stop! Such a lovely story, Pam. Brings back memories. And, I love grilled cheese with a slice of tomato on it. I love the series of photos. 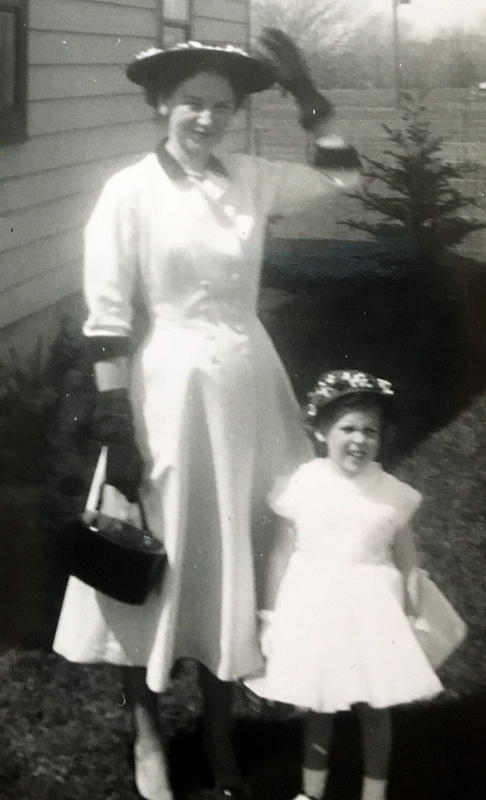 I remember the Easter hats, dresses and white gloves. So many memories! 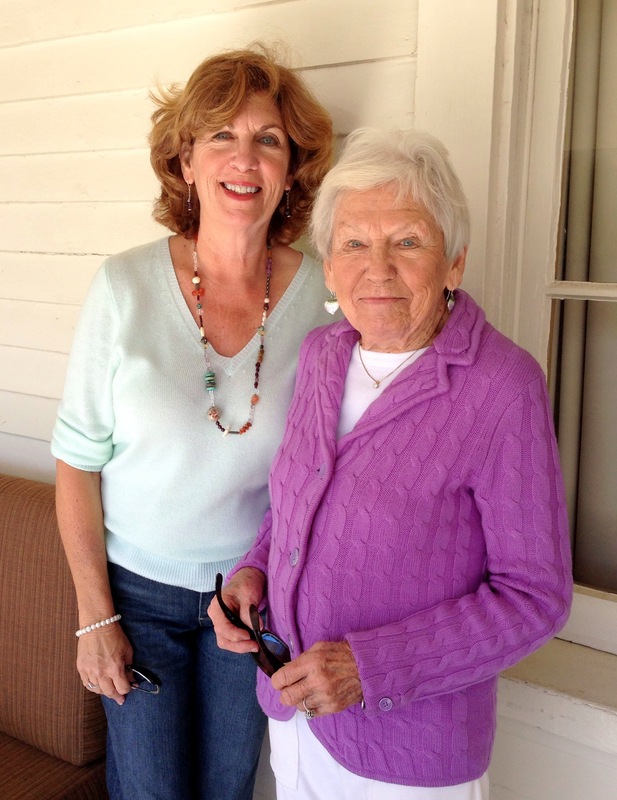 Wonderful Mother’s Day story Pam, I love every bit about it. It is such fun when you get it all in a twist.😊 . Mother with her new hip rides to the rescue and all have yummie sandwiches. 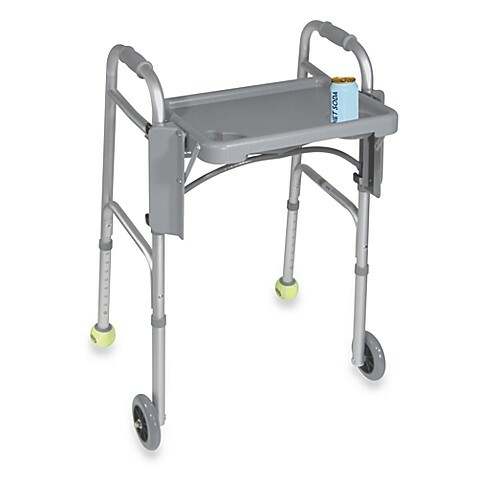 I like ve the expression how your Mom sashayed in with the dishes on her walker tray. With that wink in her eye, I can well believe it. Well, I wish I could say I was wise, but truly my mom didn’t give me any chance to do anything BUT let her take over! She’s always been the boss in our family. 😁 Yes, our perspective of things sure does change as we get older and look back at how our parents struggled, maybe in ways we did not understand. As I am here visiting my elderly parents in the U.S. I can oh so relate to this vignette. My mom is enjoying telling me how to do things ( bossing me around) and I am doing my best to be helpful and supportive. ( Not so easy as I am not partial to being told what to do…) Beautifully written and the photos are classic! Smiling…:) Wishing all a blessed and beautiful Mother’s Day! Happy Mother’s Day, Pamela. Grilled cheese and tomato. What heaven is all about. Too funny! I’m sure it was your plan all along to not only make her feel needed, but give her some exercise. Happy Mother’s Day to you both! Aah your mom is a little tiger. I am so glad she is healing quickly and that she still has the gift of grit. Hee hee. Moms will be moms. I love how she asserts her mom-ness. And the pictures through the ages are wonderful. My mom will be here soon for 3 weeks and my guess is that she’s going to dote and give me lots of advice, because of course, we’re still kids, Pam. Happy Mother’s Day. THREE WEEKS??? Oh, my friend, you are an angel. I love my mom to bits, but after three days, I’m pounding my head on the walls. But, truly, I love (and miss) her doting and caring and ….dare I say it, bossing. ❤ Best of luck to you. Hope we get to read about your mom/daughter escapades in a post or two. I will be back to blogging earlier than expected. It was a whirlwind getting everything organized and I’m a little shell-shocked. Ha ha. Some relaxing and then back to the routine! No truer words were spoken (written), Dale. 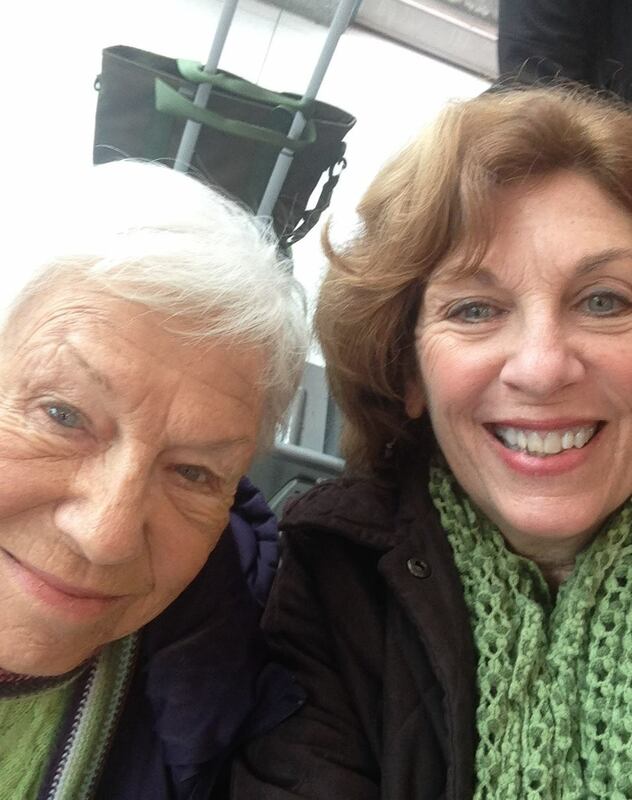 My mom is failing, slowly, but her grit is keeping her going, and she’s definitely not one to “go quietly into that good night.” To our moms – cheers! lol – Mine was never convinced that I’d actually grown up, even in my 50’s, but that’s life, right? I always enjoy grilled cheese! I wish you a gooey grilled cheese in your near future, David. I loved this post! (and can relate to it too!) Happy Mothers day to both of you! Oh Pam, what a lovely story. As a mother, I understand your mother and as a daughter, I understand you. I’ve been where you’re standing now, and heaven help my sons if I sit in your mother’s chair. Love and hugs. Happy Mother’s Day to you and your mom. Oh gosh this makes me chuckle as I see some similarities with my own mom and I 😉 I’m glad it was a yummy lunch in the end… and even more happy that she’s healing well xo Happy Mother’s Day! We never grow up in our Mother’s eyes…. do we. Yep. That is exactly what happens when I try to wait on my mom. Suddenly I’m five again. But at least you get credit for TRYING to wait on your mom, right? Don’t ever stop trying. Even if she acts like she doesn’t like it, the secret is…. (she LOVES it). What a fun day and a yummy meal. Now I want grilled cheese! A lovely tribute to the strength and resilience of your mother Pam! Mothers never stop being mothers, do they? And I do LOVE a nice grilled cheese sandwich! First, I’d have to read anything with grilled cheese in the title. 🙂 Second, just a great mom/daughter story. I can relate. And I recall the frustration of finding nothing where I expected it would be in my mom’s kitchen back then either. You acceded gracefully; Mom felt useful. At the time, I admit, I just felt frustrated at not being allowed to help the way I wanted to. But in hindsight, you are absolutely correct. 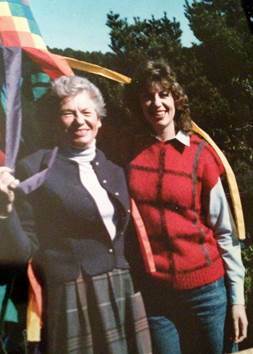 Our moms want to always feel like they’re our —- moms — and that their talents are still needed. Honestly, I had to laugh at this sweet story! I could picture every move on both your parts. I wonder what we’ll be like when we are as old as our mothers? I often think about that when my mom is a little challenging to me in her idiosyncrasies. I hope I will be able to “receive” from my children, and I guess I also hope my children will still want to “give” to me. 🙂 Your photos are so sweet, Pam. I’m so glad you shared. We have these same conversations at my home. I have a wonderful son, but somehow I feel it’s my daughter who will probably have to “deal” with me. We laugh about it now, but we’ll see. Ha! This sounds only too familiar!. Happy belated Mother´s Day. Happy belated Mother’s Day to both of you. This is so funny, Pam. There is nothing like a grilled cheese sandwich made by mom and, let’s face it, the older generation is just better at some things.